Kyoto and Nara: Not To Be Missed! 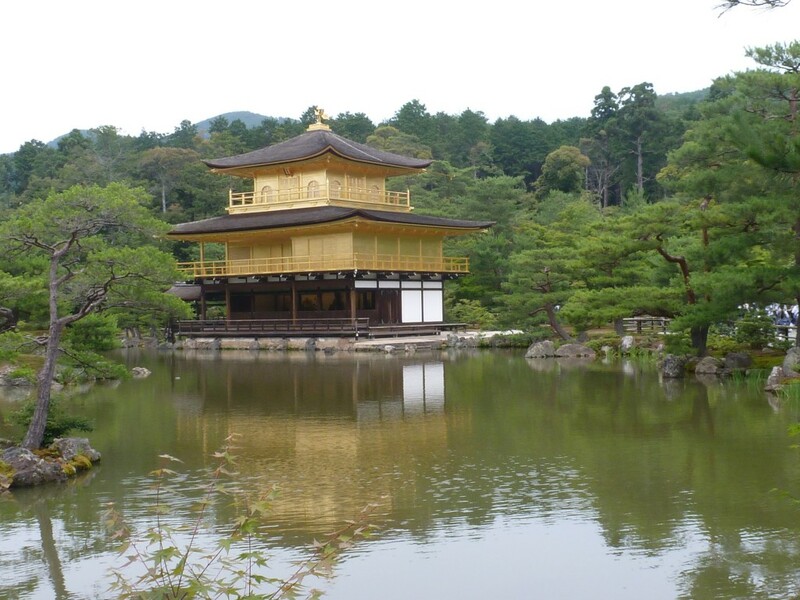 While Tokyo is an awesome city with so many distinct sections, try to allow yourself to get out of the city and head to places such as Kyoto and Nara. I am so glad I extended my trip to include these areas which are just 2.5 hours on the bullet train from Tokyo. If I had more time, I would have gone to Hiroshima and it’s adjacent island where you can find a shrine in the water, Hakone, known for it’s mineral onsets and beautiful views of Mt. Fuji or to Mt. Fuji if in the months of July and August when people begging climbing. Make sure you do your research when it comes to train passes and accommodations, because if you know at least four days in advance of heading to Kyoto, you can get discounts online that will cut your train pass by almost one hundred dollars and you’ll find packages that include hotels and tours. Because i made a last minute decision to stay, I unfortunately had to pay full price for my roundtrip ticket, which was 270 yen (close to $300). Another thing I wish I knew is that if I had purchased the Japan Railways pass for just 15 dollars more, I could ride anywhere the JR trains go (and that’s pretty much everywhere) for one week. This would’ve included my trip to Nara, Nagano, and other destinations as well as the Narita Express back to the airport (this will usually cost 3000 yen). Since I did not take advantage of the Japan Rail Pass, I decided to take the rapid train service to Narita, which took a half an hour longer than the Nartia express but it is the local train and only costs 1280 yen. You won’t have the option of reserving a seat either. Other transportation trips to keep in mind is that you can buy what is called a pasmo card and refill it as much as you’d like and when you return it at the end, you get your 500 yen deposit back. You can also purchase day passes for 710 yen in Tokyo and take unlimited trains and in Kyoto, you can get a day pass for the bus for just 500 yen (individual rides cost 220 yen) and in Tokyo, they calculate your trip amount depending on how far you go. It can get extremely confusing trying to figure out how much you will need to pay, especially with transfers, so I definitely recommend just getting a pasmo card and refilling it as needed. You can also elect an option in which you can put in your credit card info and it will automatically refill when needed. Since my trip to Kyoto was a last minute decision, I needed to find a place to stay quickly. I got online and started emailing a few places to see who had availability. The Nishiyama Ryokan got back to me immediately with a great rate for their Traditional Japanese Inn. I was comforted by the fact that they spoke English and the place looked quite nice on the websiite. 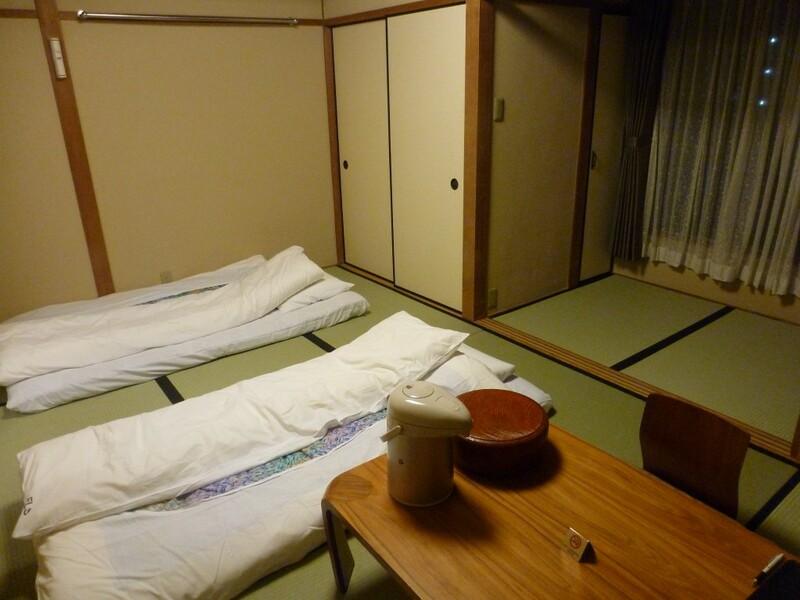 I was looking for a traditional Japanese Inn to experience, which also means you sleep on mattresses (futons) placed on the tatami mats on the floor. The ryokan also includes a public onsen and an optional traditional breakfast and dinner. In the mornings, there is always green tea in the lobby and a very friendly woman offering you matcha tea and the option to try making it yourself as you would in the traditional tea ceremony. While it is not a standard luxury western property, it feels very homey. There is free wifi in the lobby with a few laptops for you to use in their dining area if you don’t have your own. I was going to check out after one night because while I felt safe in the centrally located hotel, my back didn’t like sleeping on the floor. However, the manager at the front desk informed me that they have rooms with beds in them as well, so I opted to stay and again, while it was not a standard hotel, the room was spacious with two beds and there was an adjacent room with a table and legless chairs for enjoying a meal together. It was a very comfortable place to stay, so I ended up calling it home for a total of four nights. While it is situated on a quiet side street, it is very close the main street with all the shops, restaurants and arcades, so you have the best of both worlds. A you’re walking home, you feel a sense of tranquility as those on their bikes wiz past you. 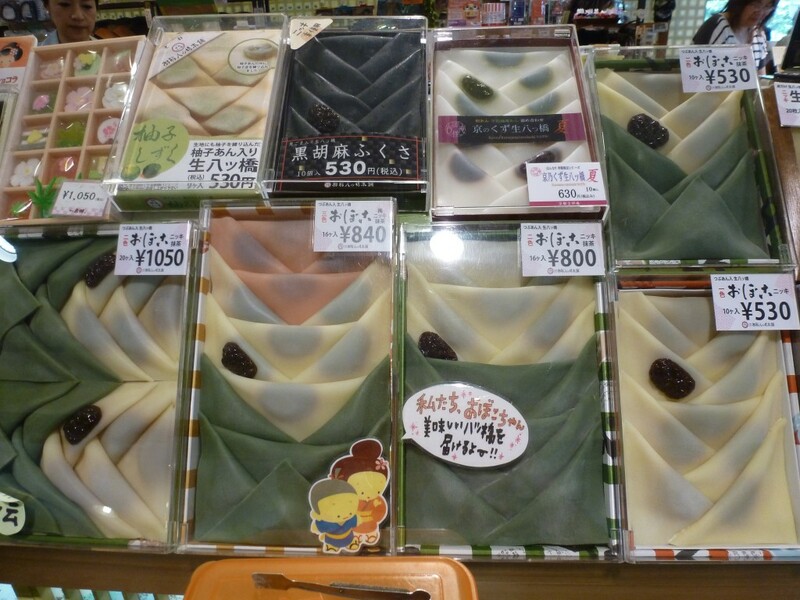 I also have to point out that in addition to the hundreds of temples and shrines located in Kyoto, as well as the Geisha district of Gion with its restaurants and bars, the people of Kyoto are extremely helpful. While the hotel is easy to find once you get acquainted with the area, I was lost at first when getting off the bus and one guy heard me asking two women for directions, pulled over on his bike, called the hotel for me and then walked me there. That same night, I was trying to figure out how to get to Gion and upon asking a guy in the local 7-11, he walked with me 10 blocks and when I said I would take a taxi from there, he pointed for me to get on the back of his bike. Of course I was a bit nervous, but I did it anyway and he drove me all the way to Gion and then said goodnight! Kyoto is a fairly easy city to get around, once you have a bus map. Be sure to check out the gold temple, Kinkakuji, the Arashiyama district, and a show in Gion. When people were telling me not rush and try to do in Kyoto in a day, they were absolutely right. While there are day trips from Tokyo, definitely try and stay a few days. 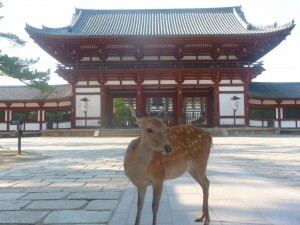 Also leave yourself a half of a day to take a train to Nara, about 40 minutes from Kyoto. 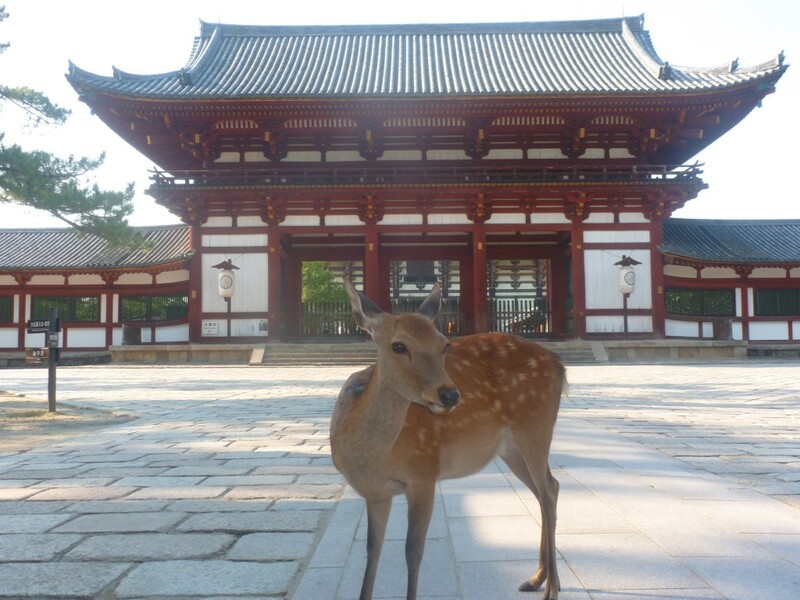 Here you will see tons of deer just hanging out in the park on the way to seeing the Big Buddha at the Todai-ji temple. 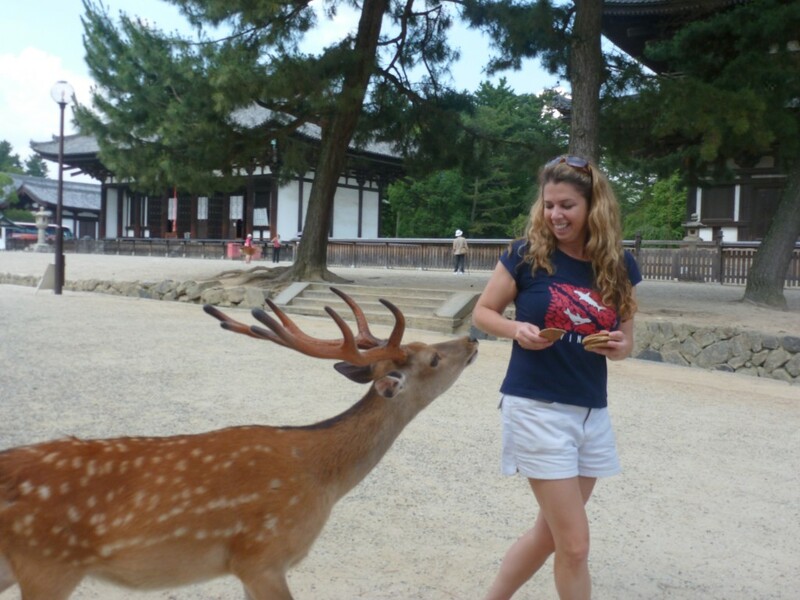 You can buy deer crackers and get some great pictures and video feeding the deer. Watch out because some can be aggressive if they are hungry, but you’ll find others just sitting in front of souvenir stores and ice-cream shops! Be sure to try the green matcha ice-cream missed with brown rice on the street filled with shops on the way to the park. You will also be treated to alike of turtles on your way to see the deer. 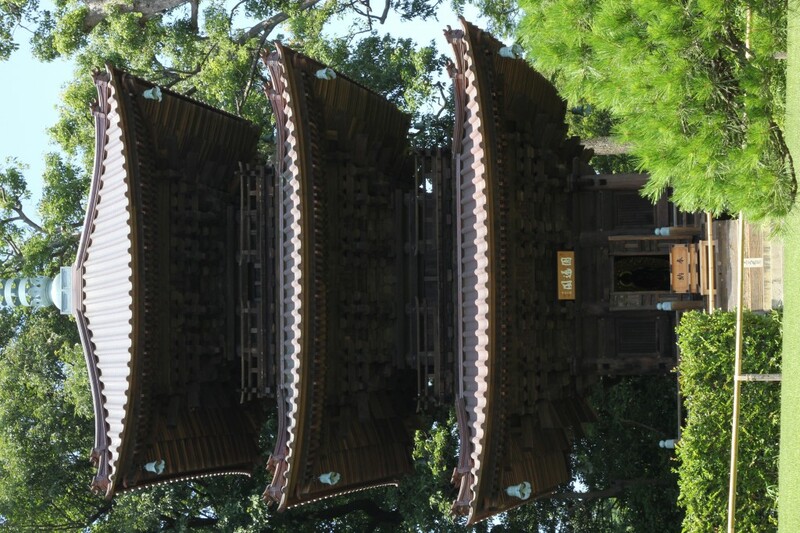 Nara is a beautiful escape from the busy cities of Tokyo and Kyoto and should definitely be a place to visit while in Kyoto. 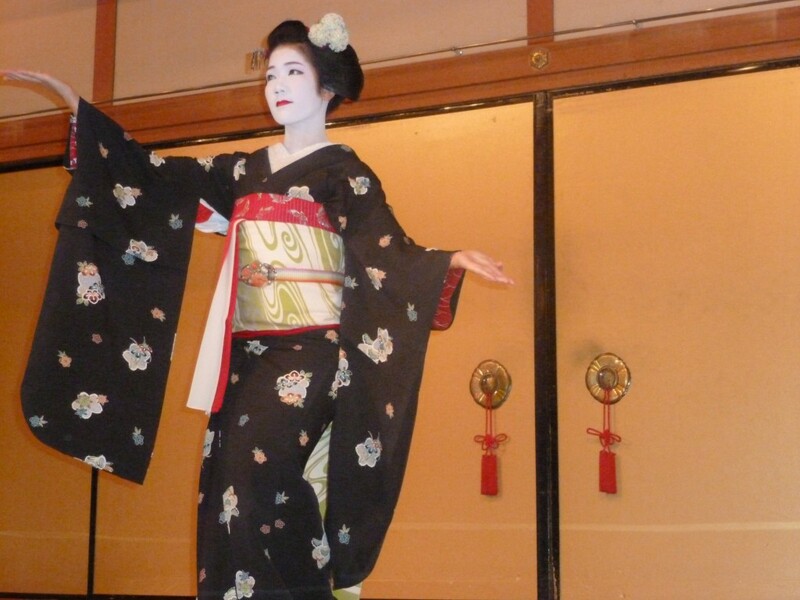 Get Married at Hotel Chinzan-so Tokyo! 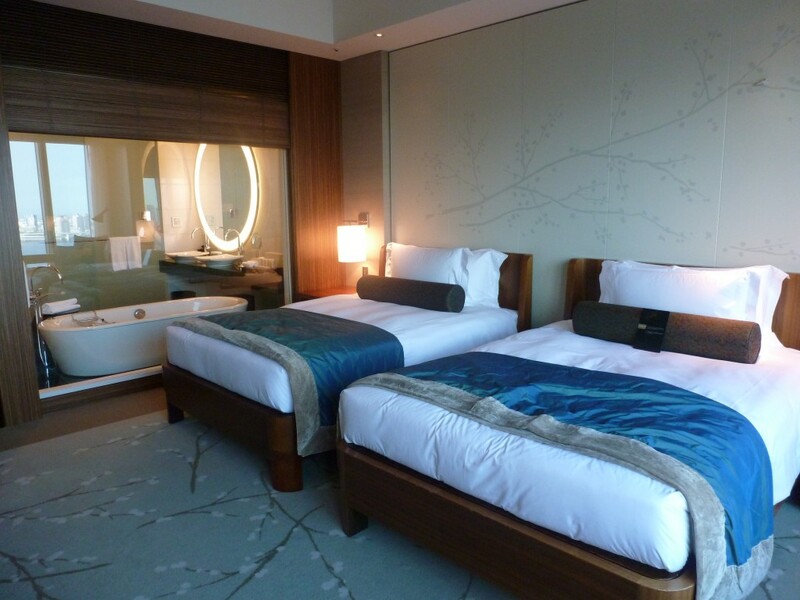 There are an overwhelming number of hotels to choose from when in Tokyo for all price ranges and locations. If you are looking for a relaxing and tranquil place to call home that is still in Tokyo, but on the outskirts from the busy city, you must pay the Four Seasons in Chinzan-so a visit. It will soon be renamed Chinzan-so Hoteland when you walk the grounds, you will see why so many brides pick the lush and gorgeous Chinzan-so garden for their big day. Take a stroll through the 6600 sq. meter garden at night and be treated to a light show of fireflies lighting up the night in the months May and June. 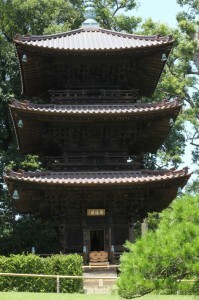 During the day, enjoy the walk up and around the shrine. The hotel is perfect for a romantic escape or a girlfriend getaway and gives you all the amenities of five star hotel, while also offers guests the opportunity to partake in many of the traditional Japanese traditions, such as the Japanese tea ceremony, and relaxing in an onsen (hot bath). 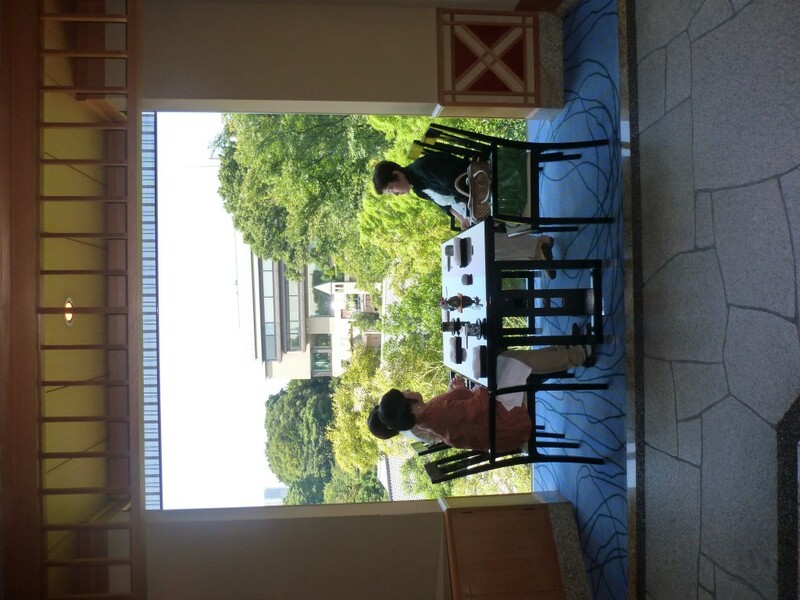 Before coming to Chinzan-so, I was searching for a place to see a traditional Japanese ceremony, and while I found places that served the tea, I could not find a ceremony, so I was happily surprised when I found out they had it there. The Japanese restaurant in the hotel is phenomenal. I had both breakfast and lunch there. For breakfast, one has the option of choosing the Western or Japanese breakfast and a few different options for each. For lunch, I opted for the sushi which came with a wide selection of various pieces, all fresh and some of the best I had while in Japan. My friend ordered the bento box, which was three layers of various veggies, meats, and seafood. In the evening, or anytime of time of day, if you choose to take a day off from exploring, you can unwind and relax in the spa, including the onsen in both the men’s and women’s sections, as well as a co-ed sauna, steamroll, jacuzzi and swimming pool inside, and an outside jacuzzi. The fitness center is also spacious and ultra modern, open 24 hours. Perhaps one of the best parts of they stay was the breathtaking view from my bed. The room had huge corner windows which allowed me to see Tokyo lit up in the night, an amazing sight and a perfect way to fall asleep in the ultra comfortable king bed. Every aspect of the stay made for a very relaxing environment including the L’Occitaine bath products which left me smelling oh so nice! The concierge at the Four Seasons was extremely helpful, helping me plan my trip to Kyoto. They provided me with maps, phone numbers for possible hotels, and looked into train schedules for me. Again, this is not found at every hotel. Sometimes it can be tough to find staff who speak fluent English and can really help you around. Practically the entire staff spoke English, which makes planning so much easier. This was a crucial part of my trip, as the Kyoto part of the trip was a last minute addition, and I couldn’t have done it without their help. If you are planing a wedding in Japan, you definitely want to consider the beautiful gardens at Chinzan-so. They have wedding planners on staff to help with your every detail and the setting couldn’t be more beautiful. 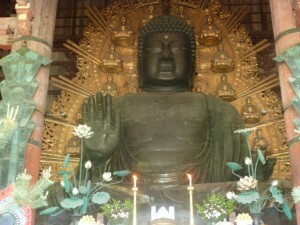 It is a true oasis inside the bustling city of Tokyo. While the property is not right in the center of Tokyo, and one must take around a $15 cab ride from the nearest metro station, it is definitely worth it if you are looking for a high end stay away from all the action, but close enough to do everything you would still do if you were staying within walking distance to the metro. My only regret is that I had such a packed itinerary that I didn’t have the luxury of staying even longer at the property. However, it was just enough time to relax in the spa, enjoy delicious Japanese cuisine, stroll the garden, see fireflies and partake in a traditional Japanese tea ceremony. It was a magnificent addition to my stay in Tokyo. As I mentioned, this Four Seasons property will soon will under new ownership as the Hotel Chinzan-so, but there is still the Four Seasons hotel in the financial district of Marunouchi, which is the ideal place to stay if you’d like to be close to Tokyo station, the hub for most of the railway lines and buses. 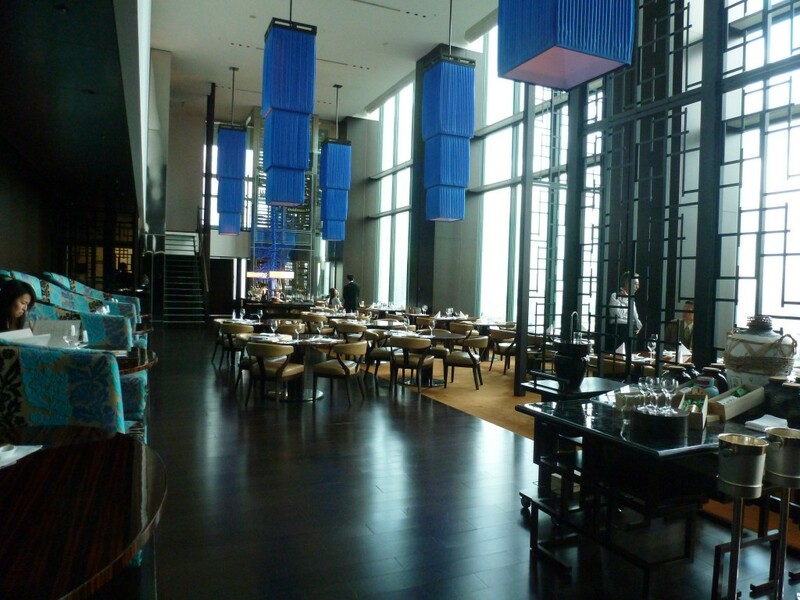 While it retains the Four Seasons name, it is very different than the experience you’ll have at Chinzan-so. This Four Seasons is steps away from the Ginza district, known for its high end shopping, and is a boutique hotel featuring just fifty seven guest rooms and suites. However, just because it is smaller does not mean it compromises the five star amenities in the room and around the hotel. 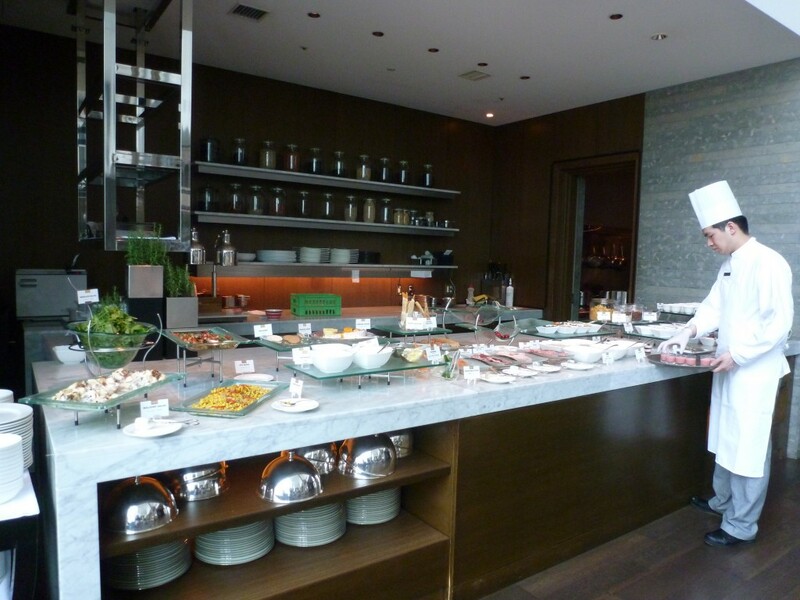 The breakfast is delicious and again you have the option for a traditional Japanese, Western or English breakfast. I opted for the traditional and was stuffed by the end! Don’t let the variety of smaller portions fool you…you will be more than full when you are done with your bento box and side of grilled fish. On the same floor as the restaurant, you will also find a gym with all the standard card and weight machines as well as a spa with mineral onsen. 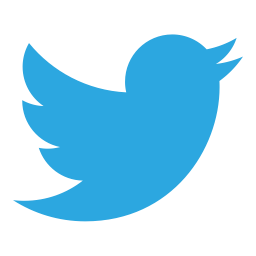 The staff speaks fluent English and is also very helpful in recommending places to go. You should know that the hotel is down the road from the restaurant where i had the best sushi my entire trip (I dare say better than the fish market!). It is called Sushi Midori and there was a line out front (if the locals are lining up, you know it’s good!) They have a restaurant in Shibuya as well. Not only was it the freshest, most succulent sushi I had in the two weeks I was here, it was also the most reasonably priced for what you get! Be sure to try pieces you can’t get at home as well as the heated ones they put a blowtorch to! I had never been to Asia, so when a friend told me he was headed to a wedding in Japan and asked if I’d like to go, I was extremely excited to see the city and experience the culture, food, and a Japanese wedding. I wanted to find hotel properties that exuded elegance with a romantic flair, but was also convenient to all of the popular neighborhoods and things to do see and do. 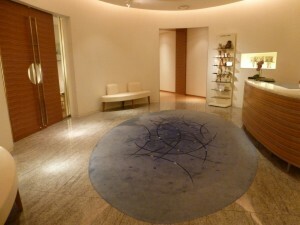 For the first five days of my stay in Tokyo, I stayed at the Conrad Hilton, Hilton’s luxury brand of properties. I have stayed with Hilton before at some of their other brand properties, and have never had one bad experience so I was eager to try their more exclusive, high-end brand of hotels which includes the Conrad and Waldorf Astoria. For the record, the hotel lived up and exceeded my expectations. Upon arrival, you will be taken up to the lobby on the 28th floor, which displays a breathtaking view of Tokyo Bay and the beautiful Hamari park. 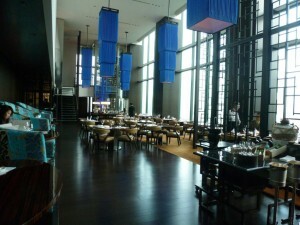 This is also where the swanky bar serves up nightly food and drinks to relaxing piano music. 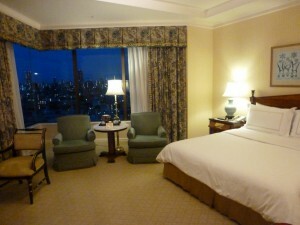 We stayed on the 34th floor which also had a magnificent view of the city and bay. 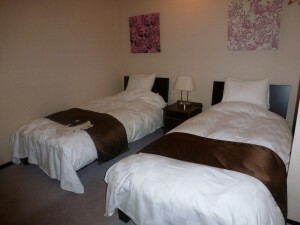 The rooms were really spacious, especially for a standard room in Tokyo and the beds were most comfortable. The bathroom had both a shower and stand alone bathtub and a high end toilet to boot, that was heated and played relaxing music. Japan is definitely ahead of the curve when it comes to certain items. Other features which you would expect from a five star property include automatic curtains and shades that are controlled by a knob next to your bed and the same for the blinds that connects the bathroom to the bedroom. If you have time for a relaxing soak in the tub, you can stare out at the beautiful view from the bathroom. 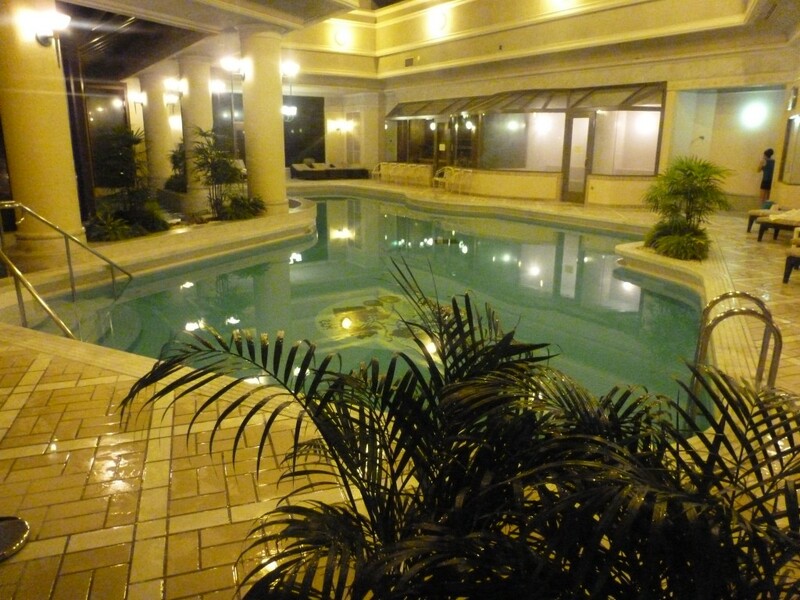 The hotel also features a modern fitness center with a jacuzzi and saunas in the locker rooms, and an olympic sized swimming pool (for an additional charge). If you feel like unwinding with a spa treatment, the spa is the perfect oasis for a variety of treatments. Booking a hotel from home before you have arrived in your destination can be challenging when trying to figure out the best location for everything you’d like to do. There were so many options for hotels in Tokyo that it was tough deciphering the neighborhoods. However, the Conrad was in a perfect spot, close to two major subway lines. If you are traveling for business, it is very close to some big cooperations, but also steps away from a bustling nightlife of restaurants and bars. If you are there for pleasure, you will find getting around the city very easy on the JR subway line, which leaves from the Shimbashi station, which is a 5-10 minute walk from the hotel. When traveling to Europe, while the languages are different, many people speak English. However, I was worried about communicating with the locals here in Japan, as some speak a little English, but many don’t. I therefore relied heavily on the concierge at the hotel. I don’t think I’ve used their services as much as I did on this trip, and they were extremely helpful and informative in helping me plan my itinerary. Not only were they armed with information on each location, they also made phone calls for me which made it that much easier to set things up. In a country where you are not familiar with the things to see and do, and communicating may be a challenge, a good concierge is worth their weight in gold. While in Tokyo, there is so much to explore with many neighborhoods of different character, including the business districts of Shimbashi and Shiodome, the nightlife district of Roppongi, the nerdy electronic district, Akihabara, the famous bustling intersection of Shibuya with its many restaurants and shops, and Shinjuku, with its shops, department stores, and various restaurants. If you are an adventurous eater, you can try one of many restaurants that will serve such items as heart, gizzard, horse, cartilage etc. I am usually a very adventurous eater, but even for me, my stomach did not take to this variety! Harajuku is a great spot for young shoppers with the latest in cool hip styles and accessories. 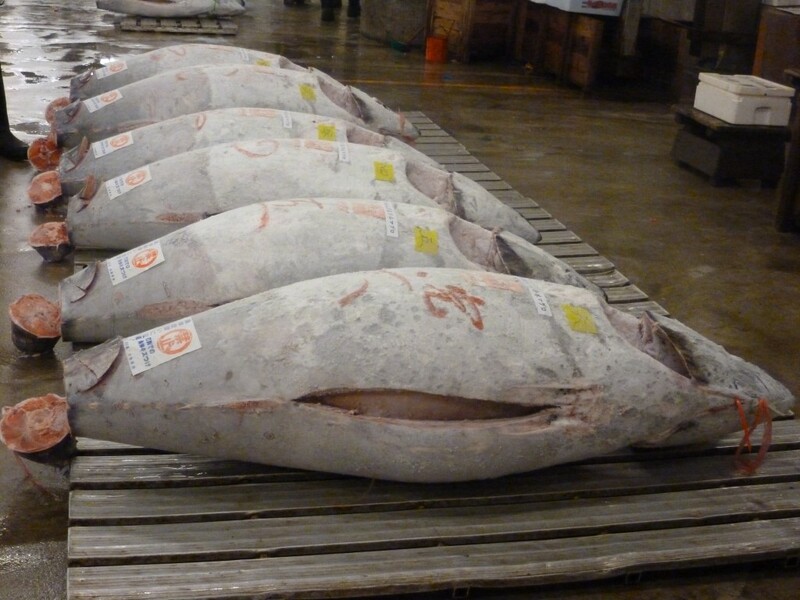 Head to Ueno for a daily market, as well as a feel for “Old Japan.” A must do for your trip to Tokyo is a visit to the Tsukiji Fish Market. Definitely try to wake up early one morning for the auction. The auction starts around 5am, but you must get there around 4am for a place in line, as they only accept the first 120 people and then divide into two groups. 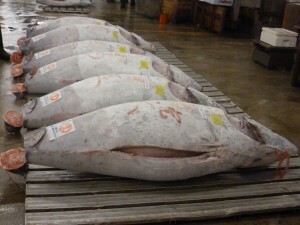 After the auction, head to one of the many sushi restaurants within the market for the freshest sushi in Tokyo. 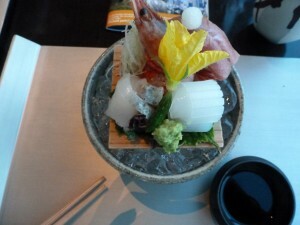 One place that came highly recommended and lived up to the expectation was Sushi Dai. I waited 2.5 hours, lining up at 6am, but I was definitely good and hungry when it was my turn. They take about fifteen people in at a time and you sit at the sushi bar, as they prepare around 12 pieces for you to try. 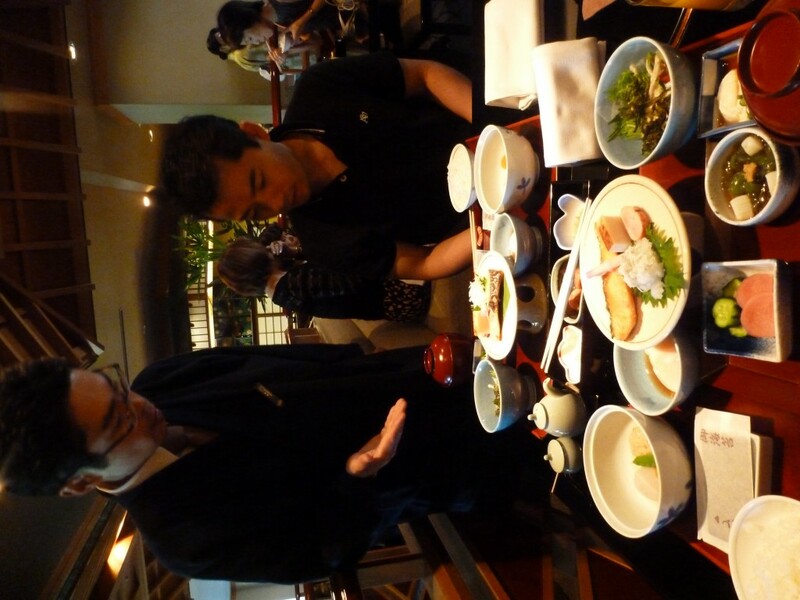 It is a very efficient meal, as you won’t be in there for more than thirty minutes, and you’ll pay 3900 yen, which comes out to around 45 dollars, but if you are going to Tokyo, you should try some amazingly fresh sushi. Tokyo definitely has a lot of character with terrific food, very respectful people, and plenty to do, but if you are guy, beware of possible nightlife scams that target foreigners. If you meet a girl and she asks you to go to another bar and then to another with her, make sure to never give your credit card and watch your drinks. So if you are traveling to Tokyo for business or pleasure, do yourself a favor and stay at the Conrad Hilton. It exceeded my expectations in comfort, food, location and customer service. 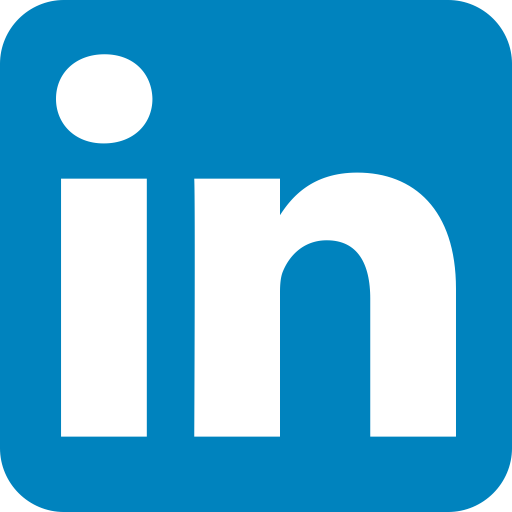 It’s easy to see why they have received numerous awards from prestigious groups and publications over the years. 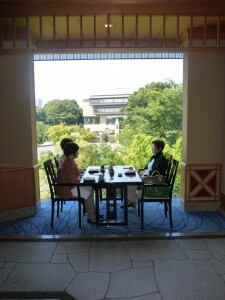 Next Post: Get Married at Hotel Chinzan-so Tokyo!